Scientists at King’s College London announced a few days ago that 16 human embryonic stem cell lines have been approved by the US National Institutes of Health (NIH) and placed on their Stem Cell Registry, making them freely available for federally-funded research in the USA. 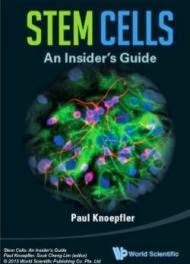 The stem cell lines, which carry genes for a variety of hereditary disorders such as Huntington’s disease, spinal muscular dystrophy and cystic fibrosis, are considered to be ideal research tools for designing models to understand disease progression, and ultimately in helping scientists develop new treatments for patients. King’s has already developed eight clinical-grade and more than 30 research-grade stem cell lines, which were approved by the UK Stem Cell Steering Committee to be deposited with the UK Stem Cell Bank (UKSCB) and distributed worldwide. The sixteen lines of stem cells on the NIH Registry carry genes for various hereditary disorders including Duchenne Muscular Dystrophy, Huntington’s disease, cystic fibrosis, and rarer conditions such as Von Hippel-Lindau Syndrome, Wiskott-Aldrich syndrome, spinal muscular atrophy, myotonic dystrophy and neurofibromatosis. "We are delighted that the NIH has found our lines useful and their procurement and consents in line with the strict guidelines that they have set. This achievement is the culmination of over ten years of painstaking research and consistent belief in the scientific usefulness of these very special cells to improve our understanding of genetic disease processes. This is a huge milestone for King’s, and will allow us to make a major contribution to global stem cell research by having these stem cell lines available to scientists in the USA. These research-grade stem cell lines are essential not only to address basic questions in development and disease, but to test and implement technical improvements in culture conditions that might affect hES cell viability and pluripotency." said Professor Peter Braude, Emeritus Professor of Obstetrics and Gynaecology, King’s College London; and former director of the Stem Cell Programme and the Pre-Implantation Genetic Diagnosis Programme, Guy’s and St Thomas’ NHS Foundation Trust. "I’m delighted that the NIH has accepted our stem cell lines. There are now significant opportunities for US-based researchers to use these lines as tools to test the molecular mechanisms of common diseases, so it’s fantastic that they are now freely available to advance the science of stem cell therapy and regenerative medicine." said Dr Dusko Ilic, Senior Lecturer in Stem Cell Science at King’s College London.